I have no idea why I even bothered with a menu plan last week. I sure didn't stick to it! And not sticking to my menu plan made sticking to my diet more difficult too! We'll save that for another post though! Grace and I have a couple for things planned for this week, so during naptime today, I'm hoping to get a head start on some of my dinners so that they are ready in the fridge. I already have my veggies chopped and in the fridge, just waiting to be tossed into a yummy recipe! Monday: Taco Rice, quesadillas (sour cream and salsa on the side). Joe loves rice dishes. We both do. So, as soon as I saw this recipe posted over at Around My Family Table, I knew we had to try it! Wendy serves this rice as the main dish, using it as a soft taco filling. I decided to pair it with some quesadillas. I'm sure it will be great either way! I'll let you know! Tuesday: Macaroni Salad, hot dogs, iceberg wedge. I don't have a true recipe for Macaroni Salad. I love the my Mom's macaroni salad and I love the way my friend Barb makes hers, so I like to combine the two recipes! I'll try to measure so I can share it with you later. 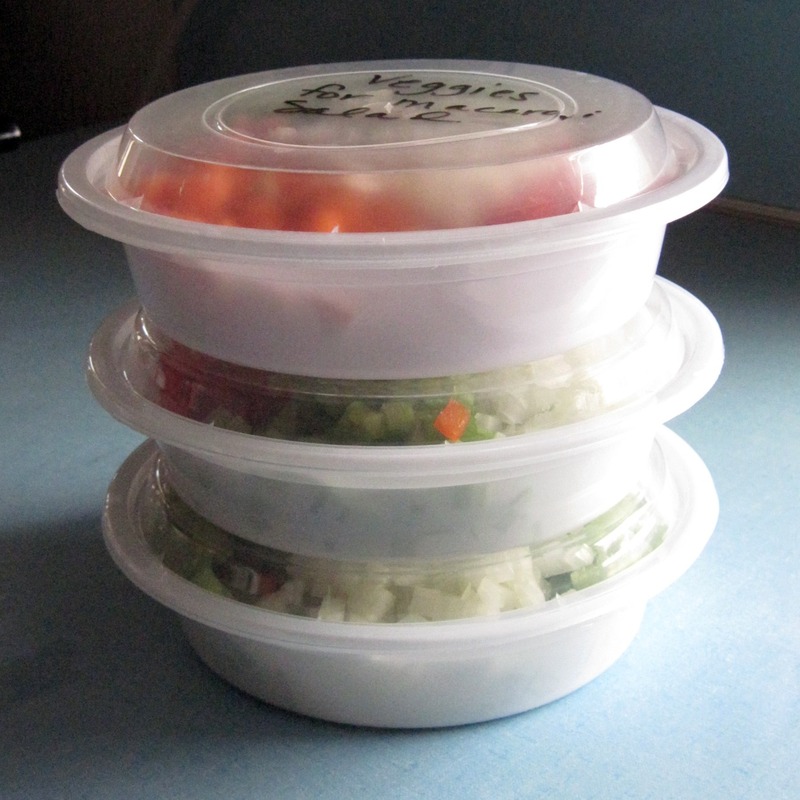 Wednesday: Salmon Patties, iceberg wedge, carrots and dip. I've been wanting to try this recipe for a while. I was supposed to make the salmon patties last week, but didn't get to it. So, I'm carrying them over for this week. Thursday: Macaroni Hot Dish, steamed veggies. I found the recipe for Macaroni Hot Dish on the box of elbow macaroni. I know we just had Hamburger Macaroni in recent weeks (just finished the leftovers last week), but I know I'll forget to make the recipe if I don't do it soon. Besides, it's an easy dish and great for reheating. I'll share the recipe with you, once I make it! Saturday: out to dinner. I'm not sure where we'll go, but somewhere family-friendly and not a drive-thru! Don't get me wrong, I love fast food places, but I'm in the mood to have a sit down dinner with a waiter! We usually hit Red Robin. Great food and kid-friendly! Sunday: Greek Chicken and Potatoes. Grace loves chicken. It's pretty much the only thing she eats (besides mac 'n' cheese), so I'm always looking for new ways to prepare it. I can't wait to try this! So, there you have it! That's what we'll be eating at out house this week (hopefully)! Be sure to check out Menu Plan Monday for great recipes and menu planning inspiration!